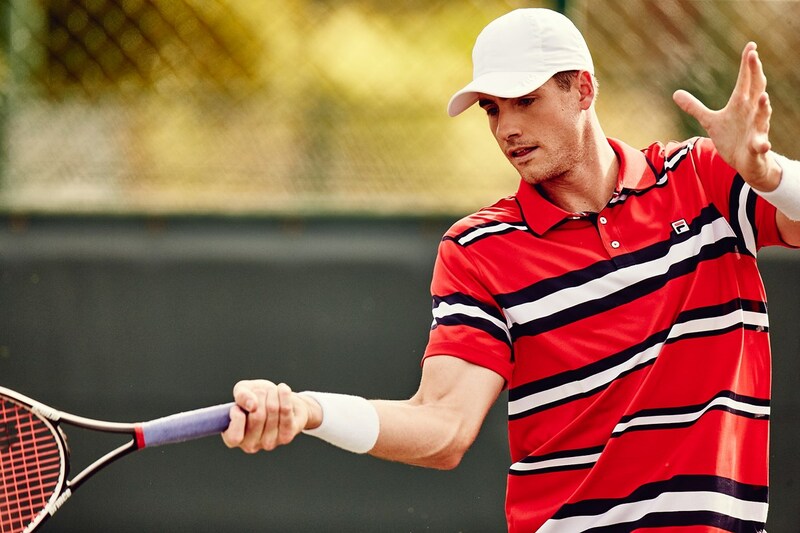 WINSTON-SALEM, N.C. (APRIL 26, 2017) – American John Isner – champion of the 2011 and 2012 Winston-Salem Opens – is the first player committed to the 2017 tournament. Joining Isner at the Winston-Salem Open will be Andy Roddick, James Blake, Mardy Fish and Michael Chang who will compete as part of the PowerShares Series. The 31-year-old Greensboro native and University of Georgia alum won the first two Winston-Salem Opens and also participated in 2014. He beat Julien Benneteau in the finals to win the inaugural Winston-Salem Open, and then rallied for a thrilling third-set tie-break victory over Tomas Berdych in the 2012 finals, fighting off two championship points. The 6-feet, 10-inch Isner was the top-ranked American player for more than three years and reached as high as No. 9 in 2012. He currently checks in at No. 24 in the latest ATP World Tour rankings. Isner owns 10 ATP World Tour singles titles, most recently in Atlanta in 2015. He has won Atlanta three times, plus the Winston-Salem Open, Auckland and Newport twice each. The PowerShares Series is returning to the Wake Forest Tennis Complex for the second year in a row. Roddick, Blake, Fish and Chang will play competitively on Day Two of the tournament at 7 p.m. on Sunday, August 20. Each PowerShares event features two one-set semifinal matches and a one-set championship match. Winston-Salem is one of 12 cities that will host an event on the PowerShares circuit this year. Included with the matches will be small group clinics and behind-the-scenes opportunities to meet the players. More information, including ticket prices, availability and group information will be released at a later date on WinstonSalemOpen.com. Roddick is one of the most-beloved players in Winston-Salem tennis history and has played here throughout his illustrious career. He first came to Winston-Salem as a teenager, playing in the Flow Motors Invitational. He then led the U.S. Davis Cup team during three appearances at Joel Coliseum, against India in 2001, against Spain in 2007, and against France in 2008. He played in the first two Winston-Salem Opens in 2011 and 2012, and he returned last year as part of the first PowerShares event at the Winston-Salem Open. Roddick reached No. 1 in the world in 2003, the same year he won the U.S. Open. He reached four other Grand Slam finals, including three at Wimbledon, unfortunately losing to Roger Federer each time. He retired with 32 career ATP World Tour tournament titles. Blake also has a long, storied history in Winston-Salem. He joined Roddick as a member of the U.S. Davis Cup teams that played here in 2001, 2007 and 2008. He played in the first three Winston-Salem Opens before retiring in 2013 and also returned last year for the PowerShares event. The New Yorker climbed as high as No. 4 in the ATP World Tour rankings in 2006 – the year he won five ATP World Tour tournaments. He owns 10 career titles. Blake has been one of the most-inspirational players in professional tennis history for overcoming a series of injuries and illnesses. He was named the Arthur Ashe Humanitarian of the Year in 2008. Fish reached as high as No. 7 in the world and was the top-ranked American in 2011. He owns six career ATP World Tour titles, winning Atlanta twice. He, too, has been coming to Winston-Salem since his teenage years. He joined Roddick in the Flow Motors Invitational and returned to compete in the 2013 Winston-Salem Open. Chang became the youngest Grand Slam champion in history when he won at Roland Garros in 1989 at 17 years and three months of age. He went on to win 34 career ATP World Tour titles, including 11 in a two-year span in 1993 and 1994. He climbed as high as No. 2 in the rankings in 1996. This will be Chang’s first trip to Winston-Salem. At age 45, Chang will be far and away the oldest player in the PowerShares field, but he still has boundless energy and will be a treat for Winston-Salem tennis fans to watch. Tickets to the Winston-Salem Open go on sale at 9 a.m. Monday, June 5 online and at the box office at Bridger Field House. The 2017 Winston-Salem Open will be held August 19-26, 2017 at the Wake Forest Tennis Complex adjacent to BB&T Field. Now in its 14th season, the world’s best players on the WTA and ATP World Tour are coming together for the US Open Series. Linking seven summer WTA and ATP World Tour tournaments to the US Open, the US Open Series serves as a true regular season of hard court tennis. Featuring a cohesive schedule, the Series centralizes the way tennis is viewed in North America, across multiple television and digital platforms. Fans will see today’s top champions go head-to-head withtomorrow's emerging stars, as storylines develop throughout the summer season. Each tournament also engages its local community with a variety of outreach initiatives, including grassroots youth tennis clinics and activities. The ATP is the governing body of the men's professional tennis circuits - the ATP World Tour, the ATP Challenger Tour and the ATP Champions Tour. With 64 tournaments in 31 countries, the ATP World Tour showcases the finest male athletes competing in the world’s most exciting venues. From Australia to Europe and the Americas to Asia, the stars of the 2017 ATP World Tour will battle for prestigious titles and Emirates ATP Rankings points at ATP World Tour Masters 1000, 500 and 250 events, as well as Grand Slams (non ATP events). At the end of the season only the world’s top 8 qualified singles players and doubles teams will qualify to compete for the last title of the season at the ATP Finals. Held at The O2 in London, the event will officially crown the 2017 ATP World Tour No. 1 presented by Emirates. For more information, please visit ATPWorldTour.com.